Broken spring repair service should only be provided by trained professionals like the ones we are proud to employ. There is some danger or risk involved when repairing many components in a garage door system, but the springs might be the most dangerous. If these units are not serviced by a trained expert serious injury could occur. Oakville Garage door Repair only employs gifted technicians who display the ability to install or replace these components safely and efficiently. Let our qualified experts take the risk so you don’t have too. Torsion and extension springs are wound very tight to ensure the tension needed to balance extremely heavy garage doors. If you attempt to service a broken component it could snap back resulting in injury or death. We offer safe and accurate garage door springs repair in Oakville, ON. Our qualified specialists have serviced a variety of these components and we know how to get the job done right. 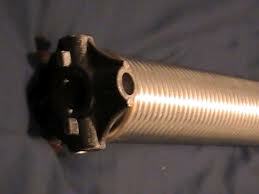 We specialize in extension and torsion spring repair. The torsion type is mounted above the door and usually comes in a single component. The extension type is mounted on each side of the door and comes in pairs just like the brakes on your car. If one goes bad it is best to replace the other as well. At Garage Door Repair Oakville we offer super fast emergency service around the clock. Our experts always make a sincere attempt to provide excellent garage door spring repair, but there are many cases where the best option is to simply remove the broken component and replace it with a new one. Our garage door spring replacement service is affordable and highly sought after in the Oakville community. When you walk out to your garage and realize something is wrong with your spring; call Oakville Garage Door Repair immediately and we will respond rapidly to provide the safe, cost effective solution you deserve.